The number of Pennsylvania’s uninsured hovers around 5.5% of the state’s population, nearly half of what it was in 2010 before the Affordable Care Act and the expansion of Medicaid. Despite every attempt to kill it, the Affordable Care Act (ACA) continues to keep the uninsured rate down in Pennsylvania. The year 2017 marks the lowest number of uninsured in Pennsylvania. According to the newly released 2017 Census numbers, Pennsylvania’s uninsured are 5.5% of the population, or 692,000 individuals without insurance, significantly below the national average of 8.7% uninsured. As the graph below shows, in 2010, prior to the passage and roll-out of the ACA, the uninsured rate was 10.2% of the population in Pennsylvania, or 1.3 million people. This uninsured rate was at its highest in 2010, two years after the 2008 recession. As the ACA began rolling out, the percentage of people without insurance began to drop. Pennsylvania’s participation in Medicaid expansion, which began in 2015, further reduced the percentage of people going without insurance. States participating in Medicaid expansion have significantly fewer uninsured than states who have refused to participate, and that gap is growing. As the Center on Budget and Policy Priorities graph below shows, in 2017 Medicaid expansion states had an uninsured rate of 6.6%, compared to the 12.2% uninsured in those states not participating in expansion. Pennsylvania’s uninsured is lower than the average uninsured rate of all Medicaid expansion states: 5.5% compared to the national average of 6.6%. The Trump administration has made efforts to kill the ACA by creating barriers to enrollment: pulling sign-up info from the healthcare.gov website; cutting the advertising budget by 90 percent and sign-up assistance programs by 41 percent; and cutting the 2018 enrollment period in half. In Pennsylvania, the Wolf administration has worked to combat the federal efforts to sabotage enrollment, and so far, it has had some success. During the 2018 open enrollment season, the Pennsylvania Insurance Department launched an outreach campaign to make up for the cuts in marketing on the federal level. The department also made coverage more affordable by mitigating the number of people subject to premium increases due to the fed’s elimination of cost-sharing reduction reimbursements. As a result, 396,725 individuals signed up for health insurance via the exchange in 2017—below last year’s sign-ups, but not as significant as it would have been without the state’s efforts at curbing federal changes. Health insurance rates will also be more modest than what was feared. 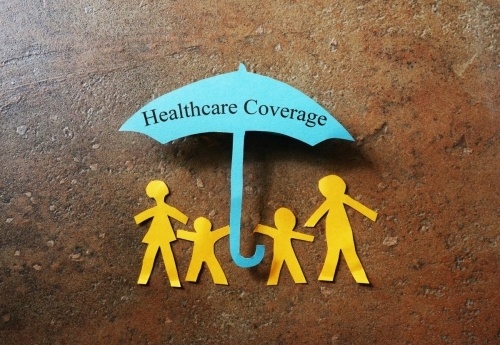 This summer, health insurers in Pennsylvania filed plans for 2019 and requested an increase in insurance rates of 4.9%, which is significantly below requested increases nationally and in neighboring states. In Pennsylvania’s neighboring states, insurers have requested 2019 rate increases of more than 20%. Given the federal attacks on the ACA and ongoing attempts to stymie its success, Pennsylvania is doing pretty good comparatively, thanks to the Wolf administration’s deliberate acts to protect it. But, before we pat ourselves on the back, we cannot forget the nearly 700,000 people in our state that remain without any health care coverage at all. Far too many others may have “coverage,” but it is too expensive to actually get them the care needed. We need to continue to fight for a medical system that values people—health and healing for its own sake, not for profit. For more information, see: https://www.media.pa.gov/Pages/Insurance-Details.aspx?newsid=313.